Kenzie loves her accessories. 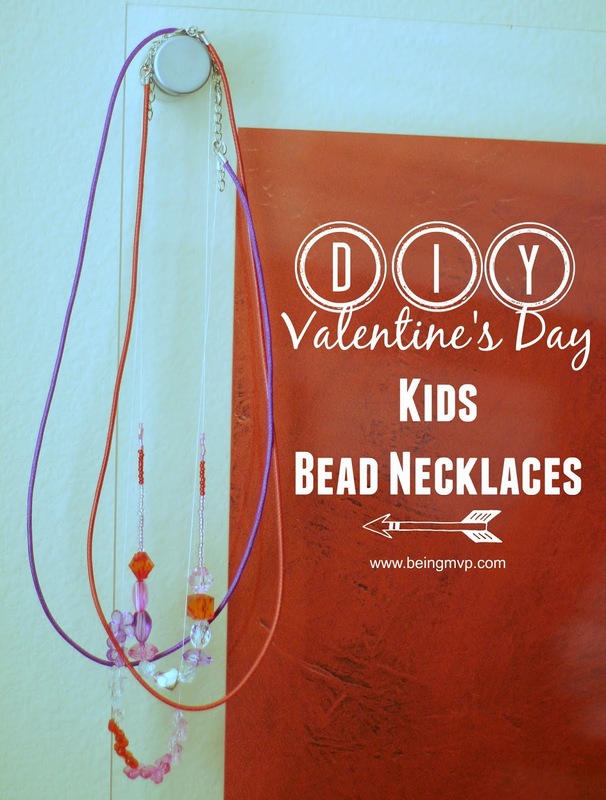 She has become fond of mine and I thought it would be fun to create a "layered" necklace for Valentine's Day. It's a great look and can make any outfit that much more fun. These were easy to make plus you can design it in any way to make it special. 1. 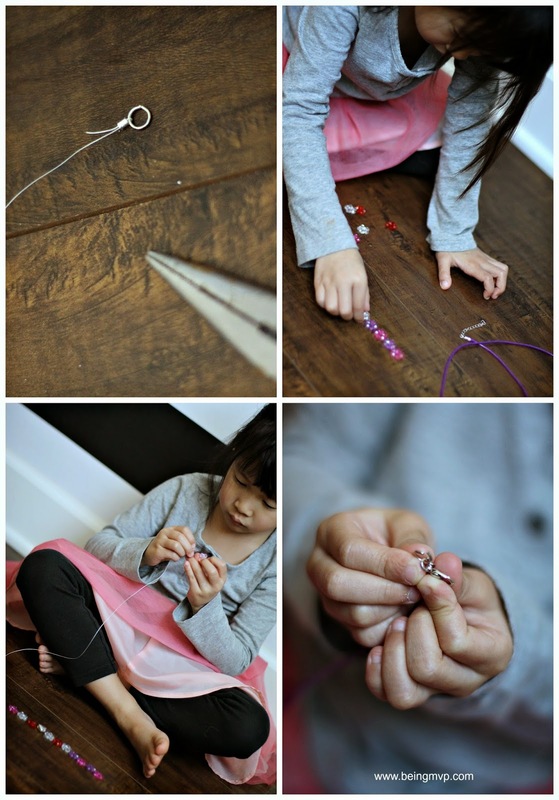 Cut a piece of the beading thread as long as the necklace. 2. Insert one end into the crimp tube and loop around a jump ring back through the crimp tube. 3. 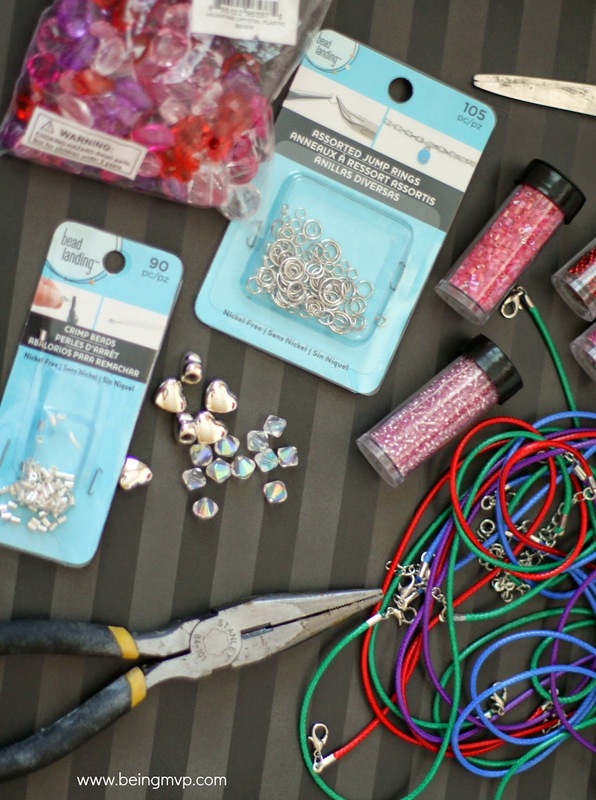 Take the needlenose pliers and smash down the crimp tube so that the beading thread is secure. 4. Line up the beads in the order you want to have on the necklace. Start threading the beads through the opposite end of the jump ring. 5. Do step #2 after threading all your beads. 6. Take the needlenose pliers and gently open up the jump ring and attach to the jump ring on the necklace. Do the same for the opposite side. 7. Voila - ready to wear! Check out the Mess Free Finger Painting for Toddlers from MomSpotted this week. I hope you enjoy and link up your craft! That is a super cute necklace and I love how sassy she looks! What a fun craft for little girls! Aww. Look at Mr. and Mrs. Sassy pants! Your kids are too cute, and I think those necklaces are adorable! I do not know if I love the necklace more or the tutu! Great craft for the kiddos. 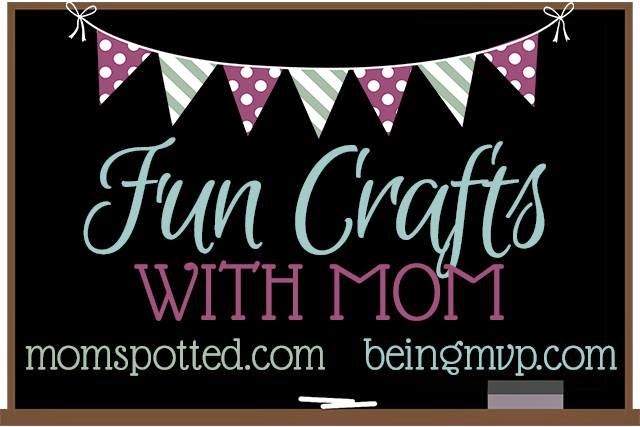 These are adorable, perfect craft for me and my daughter! Very cute necklaces! I love doing DIY crafts like this! You are so talented! The kids are absolutely adorable! These are totally cute! I'm so going to have to make some of these for my niece! She'll love them! That is such fun for kids! I love that everyone can design their own thing too. Such a cute idea. Bella would love this! I like the easy-to-follow directions. My daughter would love this idea. SUch a great craft! I will have to make a necklace with my tot- she's into wearing jewels now! She's a cutie! I like how colorful these are and how easy to understand your instructions are. What a fun and cute idea. My youngest daughter would love to do this. Tons of fun!! This would be great in valentines for friend's too :) Love it! !